On September 16th, my sisters and I ran the Rock ‘n’ Roll Philadelphia Half Marathon. 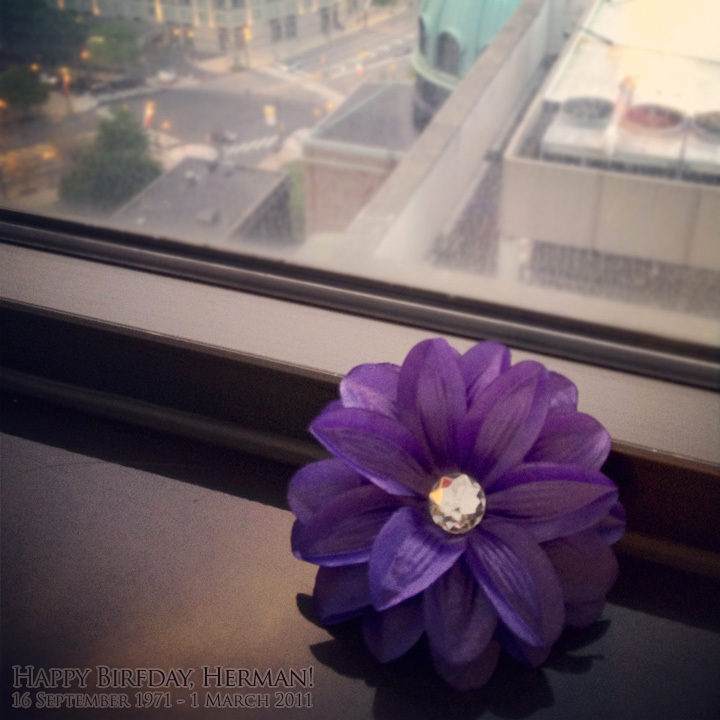 That day would have been our good friend, Herman’s 41st birfday and to commemorate him, we had the purple lily (see below) clipped to our caps and wore our Team Herman shirts. Since Herman’s passing to Pancreatic Cancer last year, my sisters, friends, and I have been advocates of Pancreatic Cancer awareness, raising funds for two organizations that promote the advocacy and research for Pancreatic cancer every year at the Los Angeles Marathon. Though we couldn’t make the mass to celebrate Herman’s life (back in Los Angeles), somewhere during the run, we did say a short prayer for Herman’s sister, Lin, and his mother Luci. [Posted on 18 September, 2012] This entry was posted in ze Brain Farts and tagged HCA, Hirshberg Foundation, LA Marathon, PANCAN, pancreatic cancer, Team Herman. Bookmark the permalink.